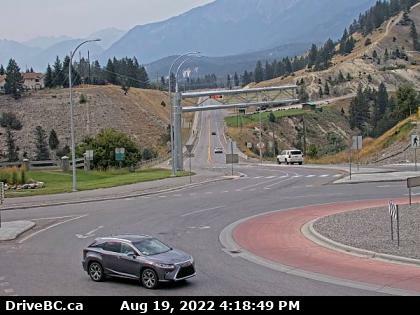 Copper Point Resort - Invermere, B.C. Copper Point Resort, a luxury Rocky Mountain Resort in the Columbia Valley. Copper Point Resort is the Epitome of casual sophistication and charm. Tucked between the scenic Purcell and Rocky Mountains. 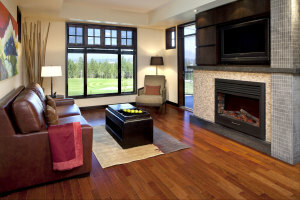 Invermere’s favourite luxury hotel is also the perfect complement to outdoor fun and athletic appetites. Plan your next family holiday or event around at Copper Point Resort’s upscale accommodations and relaxing uncrowded spaces. Year round attractions at Copper Point Resort include premier golf courses, world renowned skiing, and the stunning Lake Windermere. Copper Point Resort guests will enjoy five star amenities including indoor and outdoor pools/hot tubs, the trendy Elements Grill, fitness facilities, spa and much more. Copper Point Resort Rooms include; Hardwood and slate floors. Natural leather sofas. Granite countertops. Glass vessel sinks. Stainless steel appliances. The only thing that upstages these Invermere hotel rooms is the view of the mountains and golf courses. Soak in uninterrupted moments on your private balcony or around the fireplace. Luxurious finishes add sophistication to Copper Point Resort’s 177 rooms and suites. And your comfort cravings of extra kitchen space and plenty of pillows are satisfied, too. Whether you’re traveling on business or enjoying time off, it’s easy to sink into a getaway frame of mind at the top hotel in Invermere, British Columbia. Add a gorgeous backdrop to your conference, corporate retreat or wedding for up to 200 people. Our new, expansive meeting spaces inspire with mountain and golf views. With nine magnificent golf courses within a short drive – including Copper Point Golf Club and The Ridge at Copper Point onsite – you could easily spend more time on the greens than in your room. For tee times, call 1 877 418 4653. Want a trendy place to gather for lunch, dinner, or après golf drinks? Our new Elements Grill sets the scene with golf course views, patio seating and seasonally inspired menus. It’s just the remedy you need after a day on the golf course or ski slopes. Stretch out in our exceptional pools with fountains and chic seating that quickly puts you into relaxation mode. Listen to the wind in the Douglas fir forest and take in mountain views from the indoor and two outdoor hot tubs open year-round. Spend a sunny day teaching the kids your hockey moves on the outdoor sport court. Equipment rentals are free. The younger set will enjoy burning off energy on the new adjacent playground with a slide and several climbing features. Here’s motivation for sticking to your workout routine while traveling: the fitness centre’s brand new free weights, treadmills, ellipticals, stationary bikes and windows with plenty of natural light. The Columbia Valley Spa at Copper Point Resort offers a variety of wellness treatments to relax, rewind and renew. Spa treatments and services are perfect for anyone. Whether you’re visiting on your own, here on a couples or girlfriends’ getaway, teens with parents, seniors, bridal parties, corporate groups, fitness enthusiasts and more.